If you’re going to be running any bot, then it’s always a good idea to use a proxy server. If the bot you’re using is against the Terms of Service (TOS) of the platform, then it’s likely that eventually you’ll get banned. By using a proxy server, you force the platform to ban the proxy rather than your local IP address. This means that you can simply change to another proxy and continue with what you were doing. There are plenty of Instagram bots available, but the vast majority of them are hosted locally on your computer. The main benefit of cloud-based tools is that there is no need for you to host them on your computer, or to rent a dedicated server for the bot. With cloud-based bots, all of the technical problems are solved for you. No more messing around with a dedicated server and no more time wasted optimizing the server for your bot, only for it to crash ten minutes later. Instagram is one of the most powerful social media platforms because it still has exceptional organic reach, unlike Facebook and Twitter. This means that a huge percentage of your social media followers will see your posts, making those posts more effective. There’s nothing worse than building up a following only to see that it’s almost worthless because none of those followers get to see your activity. Instagram is a great platform for small businesses, international firms, and individuals alike. The only problem is that building a following is notoriously difficult. The app itself makes it relatively difficult to find new content and people to follow, which can leave you with no followers. That’s why it’s so important to use a bot which will allow you to use tactics like following and unfollowing, liking posts, leaving comments and even sending DM’s. Each of these tactics allows you to pop up in the notifications of the user, making it far more likely that they’ll go ahead and follow your account. Using a bot like this makes it effortless to build a huge following of real users who are active on Instagram. If you’re going to grow an account to over a thousand followers, it’s nearly impossible to do everything manually. Not only would it take a huge amount of time, but it’s also extremely boring, and that makes it far more likely that you’ll give up before seeing success. Using a bot allows you to automate all of that manual work that would have otherwise eaten up hours of your valuable time. Not only that, but bots allow you to scale your time. If you’d been doing it all manually, then you can only work as fast as your fingers can move. But a bot can run multiple accounts simultaneously, allowing you to achieve more in the same timeframe. With the best Instagram bots you can run multiple accounts in a range of different niches, which is perfect if you’re managing social media accounts for your clients. Even if you’re creating the accounts for your own business, having accounts in different niches allows you to diversify. Scaling is one of the most important parts of turning a hobby into a profitable business and doing that work manually isn’t realistic. Using a bot is the only way to grow multiple different accounts at once, without dedicating your life to tapping on a screen. Although bots are practically a necessity for those looking to grow their accounts, Instagram is very openly against the use of programs that automate their system. In fact, they have even written it into their Terms of Service, which means that you can get banned for using bots. In the past few months they’ve also closed down the most popular bots; Massplanner, Instagress, and Instaplus. If you’re going to use a bot, you do so at your own risk. However, if you use them carefully, and with proxies, you can slide under the radar and reap all of the benefits. Most of the bans that come are for those who were using the largest bots, which left trails that made it easy to ban their users. InstaZood is one of the few bots that is cloud-based, gives you a wide range of tools to use and is extremely reliable. It’s available as a 3-day trial, so, you can give it a go without having to spend a dime. Unlike a lot of competitors, InstaZood allows you to only pay for the services that you need, that way you’re not wasting money on tools that you’ll never use. The subscription is broken down into three easy to understand components; the Instagram bot, a comment bot and a direct message bot. The Instagram bot is for following, liking and commenting. The comment bot allows you to manage your comment notifications and reply to comments, and the DM bot allows you to message users directly. The Instagram Bot is the basic subscription package. It gives you all of the features that are expected from a standard IG bot, including, automatically following and unfollowing users, auto liking posts, auto commenting and scheduling posts. Following and unfollowing users is one of the oldest tricks in the book, and it still works like a charm. By following a user, you appear directly in their notifications, and since most users don’t have many followers, they’ll make sure to find out who you are. When they visit your profile, they’ll get to read your bio, check out your photos and find out who you are. If they like what they see, which they should, then they’ll go ahead and follow your account. Then, a few weeks later the bot will go ahead and automatically unfollow them. This keeps your ratio, the balance of followers and followed, at a normal rate, making you look popular and disguising the fact that you’re using this tactic. Automatically liking and commenting on posts relies on the same logic, but it also helps to make your account seem more natural. After all, it would be a little odd if an account followed a bunch of people but never liked or commented, right? Finally, InstaZood also lets you schedule posts in advance. This way you’ll never have to worry about logging into your account and posting photos each day, simply load them up in advance and let it fire away. The Comments Tracker is all about giving you the ability to manage your comments in bulk, saving you valuable time and allowing you to connect more easily with your followers. One of the most important features of the Comments Tracker is the ability to reply to comments super quickly, which is critical for anyone looking to grow their Instagram following. By interacting with your audience, you turn followers into super fans. Have you ever noticed that when you follow some accounts, they will DM you almost instantly? Most likely they are using an IG bot that allows them to send you a welcome message, just like the InstaZood Direct Message tool does. This is a great way to interact with your new followers or to send them a link or call-to-action that encourages them to do something. With the DM tool, you can send up to 120 message in a single day, allowing you to form a lasting connection with your new followers, reducing the chance that they unfollow you. Not only that, but you can also message your existing followers to get an important message out. 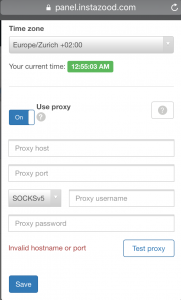 InstaZood supports proxies from any provider, as long as they are either SOCKSv4/5. 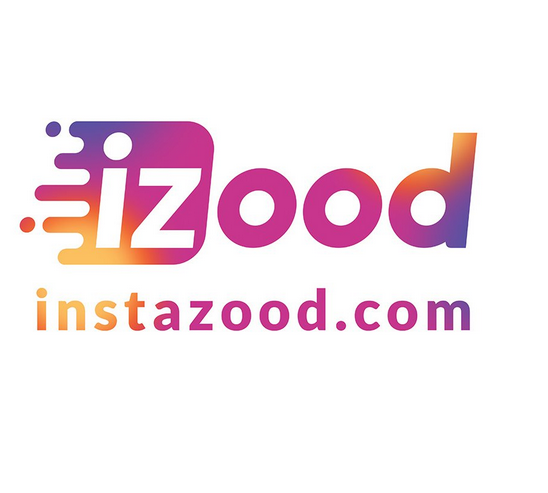 Using an InstaZood proxy is paramount for anyone running a bot because it allows you to connect to the Instagram account through a separate server and IP address. This means that you can continue going, even if a particular IP gets banned. Some cheaper IG bots don’t support proxies, but InstaZood does. As we mentioned previously, your proxies must be SOCKS4, or SOCK5 enables. Ideally, you should use a dedicated private proxy because this will give you far superior uptime and it prevents the bot from stopping because the server is dropped. It can be tempting to use public proxies because they are often free, but they are also extremely slow and go down regularly. This would mean that you would need to keep track of the bot and keep feeding it new proxies. But by using a private Instagram proxy that has a dedicated IP address, you can be safe in the knowledge that your bot will be working hard while you sleep. When you’re choosing an Instagram proxy, you should ideally choose one that is located in your country, or near to your location. This will give you a better response time, ensuring that the server is allowing the bot to run as efficiently as possible. When you’re looking at the specifics of your chosen InstaZood proxy you’ll need to ensure that is forward connecting (i.e., direct proxy), SOCKS4 or SOCKS5 enabled, password-authenticated (not IP based) and located in the same country as your IG account. It’s critical that all of these requirements are met for the bot to operate correctly with your IG account. If not, the chance of the bot stopping is drastically increased. In the case of a proxy being used from a different country as your IG account, this can even trigger warnings that can cause your account to be permanently banned. If you do face any problems with your proxies when using InstaZood, you should feel free to contact the support team who will help you with your problems. However, most problems can be easily diagnosed and solved by the user. One of the most common errors messages is “Invalid Hostname or Port.” This occurs because of a problem with the proxy, either in its operation or in the attempt to connect to the InstaZood bot. The first potential cause is that you’re using a bad Instagram proxy. This means that the proxy that you’re attempting to use doesn’t match the requirements of our servers. To rule this out, you should carefully read our InstaZood proxy requirements and ensure that the server that you’ve purchased fits our specifications. If it does, then the next problem could be that the proxy is set to authenticate via IP rather than a username and password. Although many proxies can authenticate with a password, some are automatically set to use an IP address. In this case, you should contact your proxy provider and ask them to allow you to authenticate via a username and password. InstaZood only works with proxies that authenticate via a password because an IP-based authentication requires you to whitelist the IP of the bot. This isn’t possible because InstaZood will never reveal the IP of their bot. This helps to keep the platform and its users safe from any potential bans. Growing an Instagram account has never been easy, until now. Earnings thousands of followers gives you the opportunity to market directly to thousands of people in your specific demographic. Studies have shown that social media is one of the most powerful marketing channels in existence and users often trust what they see on Instagram more than what they see on TV. An IG following gives you a personal connection directly to your audience so that you can sell to them, educate them and inform them about changes to your company. Proxy Compass © Copyright 2017. All Rights Reserved.